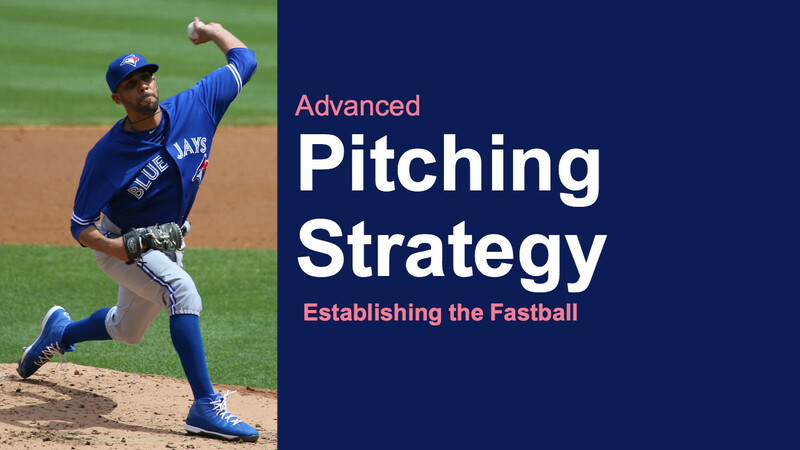 Before you ask, “why is a hitter writing about advanced pitching strategy,” let me just go ahead and tell you why. Some of the most insightful conversations I have had about hitting were talking to pitchers, and I’ve heard pitchers say they’ve learned a lot when talking to hitters. This makes perfect sense if you think about it. If I constantly talk to hitters, I could learn something about mechanics or approach. But pitchers make a living out of trying to get hitters out. If I can learn what pitchers are looking for, understand certain pitch sequences, or how they expose certain flaws, it may make me an all-around better hitter (I’m obviously writing this post from a hitters perspective). And the reverse is true. Pitchers can learn from hitters what really ruins our day. “It’s part of the process, continuing to go out there, command my fastball the way that I did today. If I can do that, it just opens up everything that I want to do with all my secondary stuff. As a pitcher that throws a lot of fastballs, David understands how difficult it is to hit. He understands that fastballs in different locations thrown with a two-seam and four-seam variations can make life difficult for hitters. Let’s say I am facing a right handed pitcher (I am a right handed hitter) and he is trying to establish his two-seamer (sinker) inside to me. It is natural to start looking in there as a hitter. If I am not stubborn with a mental approach for that at bat it would be easy for me to swing at pitches off the plate inside, fully aware that if I hit that pitch I will most likely pull the ball foul or hit a ground ball to the pull side of the infield. Our Guide to the best baseball sunglasses shares which ones the pros like to wear on the baseball field, including frequently asked questions about choosing the RIGHT sunglass for you. If you ever really watch batting practice you will see how many times hitters don’t square up the baseball. The hitters know every pitch that is coming and the coach is trying to throw it where they can hit it hard, but still many hitters don’t hit the ball on the barrel of the bat. Inside/outside – After two sinkers inside, a 4 seamer on the outside corner tends to look further outside than normal… even though it is a strike. A well located fastball is the most difficult pitch to hit consistently. The hitter has less time to react, and the further the ball is away from the middle of the plate the more difficult for the hitter (Click to read more about effective velocity if you aren’t sure what I mean). Check out Best baseball nets – tested and reviewed. After testing, we rate which ones were loved and which to run screaming in the opposite direction from. I love watching the Little League World Series when it’s on television but I feel like the pitchers are throwing more and more off speed pitches every year. I wish and I hope that some of the pitchers and coaches take a page out of David Price’s book and throw more fastballs. Once I have to compete against fastballs located for strikes on both sides of the plate and changing eye levels, the secondary stuff becomes much nastier to hit. As a hitter, when a pitcher establishes the location of his fastball and is not afraid to come after hitters, it makes hitting much more difficult. Now I have a question for you. What are your struggles related to learning or teaching pitching? Or baseball in general? We’ll be interviewing more pros this off season, so be sure to comment below with your questions! Thank you for your unique article. I’m really excited at the advanced pitching strategy. That “the key is location” is a perfect tip. Besides, I’d like to share my own strategy “Don’t be predictable” I mean you can change speed, eye level, etc. The amount of off speed stuff we have been seeing at the Little League level is astounding. It should almost be an illegal pitch at the ages these kids are throwing them. Change-up, sure if they are being taught correctly because the arm and body action of that pitch is the same as with a fast ball. The grip on the ball creates the effect on the ball. I assist at the High School level and we could care less about a pitchers off speed stuff. If they can not throw a fast ball in the low-mid 80s with command we dont give them a serious look. We do that because scouts that come to the fields are only interested in kids that are throwing, or they see the potential of them throwing, 85+ as they grow. I was at a recent Little League district championship game. Standing along side the stands I watched as pitch after pitch was being thrown as a “curve-ball.” I put that in quotes because the actual mechanics of what they were trying to throw resembled nothing as to how to throw a curve. At one point a player swung widely at the so called curve. A parent jump up and yelled “great pitch!” I happened to be standing next to the individual and as he sat down I looked at him and said … “REALLY? You think that pitch was great?” He looked at me and grimaced. He knew who I was and that I coach at upper levels. I shook his head no sheepishly. I asked him if he really thought a 9 year old should be throwing a curve. Then i asked if he knew the proper mechanics of throwing a curve and if that player that he just told pitched a “great pitch” actually threw that ball correctly. He looked at me and said that he didnt think kids that old should be throwing curves, that he did not how to throw a curve and that the kid didnt really throw the ball correctly. Thanks for posting the article! I hope many with younger kids read it and take it to heart. Fastball… fastball… fastball… location… location… location!